West Creek Falls plunges over granite and into a pool of cool water at the upper falls. West Creek Falls is located just inside the border of Rocky Mountain National Park. 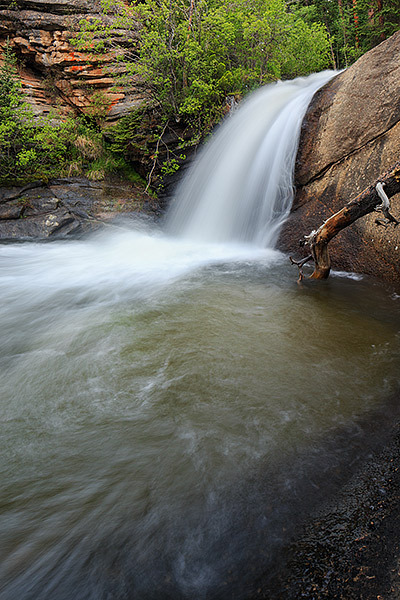 West Creek has less visitors than some of the other more visited waterfalls in Rocky. Not only is it a great hike into West Creek Falls, your much more likely to be able to enjoy the sound of the water plunging over the rocks alone. Photo © copyright by Thomas Mangan.